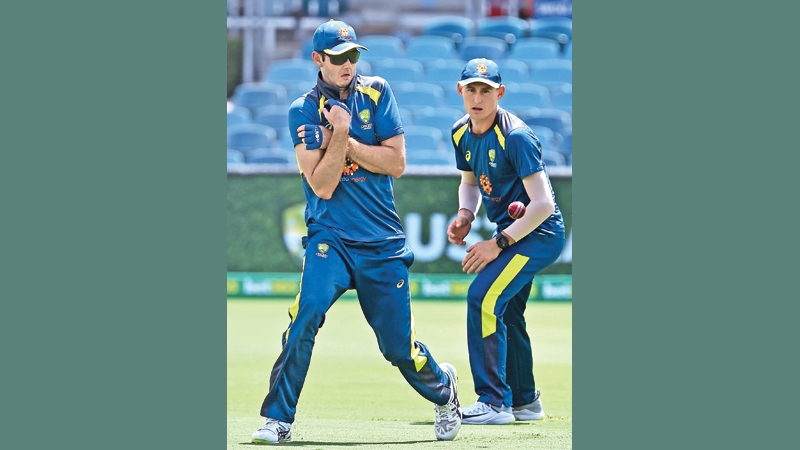 CANBERRA Thursday: Australia opted Thursday to stick with a winning combination for the second Test against Sri Lanka, meaning all-rounder Marcus Stoinis and young batting prospect Will Pucovski miss out on making their debut. The home team routed the Sri Lankans by an innings and 40 runs under lights in the first Test at Brisbane and skipper Tim Paine said there would be no changes. “We're unchanged which is nice,” Paine said ahead of the first-ever Test in Canberra, starting Friday at picturesque Manuka Oval on a track regarded as one of the best batting wickets in the country. “Coming off a good win we are happy with our combination.” Limited-overs specialist Stoinis was added to the squad after Brisbane as a potential fifth bowling option, but Paine said Marnus Labuschagne, who has been in good touch with the bat and can bowl leg-breaks, was preferred. “This pitch is probably slightly different, we just think that we'll be able to get more overs out of Marnus on a pitch like this,” he said. Pace spearhead Starc needs to find form again after a lean summer with his Test spot -- once set in stone -- now widely seen as under threat. Despite his struggles, Paine backed him to deliver and said he would open the bowling as usual. “We've used Starcy for a long time with the new ball,” Paine said. “We think he is still our best new-ball bowler when he gets it right so we'll always give him the first few. Josh Hazlewood remains injured and will not play in Canberra, with Jhye Richardson handed another opportunity after performing admirably in the first Test. Selectors also showed faith with the batting line-up, meaning Pucovski, one of the brightest talents in the country, misses out again as he did in Brisbane.